If you have just installed WordPress or have installed it earlier, and want to start over you can always uninstall existing WordPress blog, and start from scratch. In this tutorial, I will share how you can remove your installed WordPress blog in few steps. After your WordPress installation is removed, you can always start a fresh & setup WordPress from scratch. 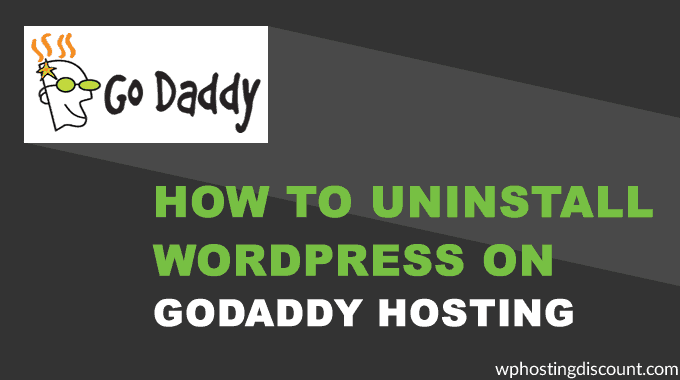 Before sharing the tutorial, you should know that I’m surprised with the quality of Managed WordPress hosting by Godaddy. I purchased a hosting package from them for testing purpose & I have been monitoring everything since then. 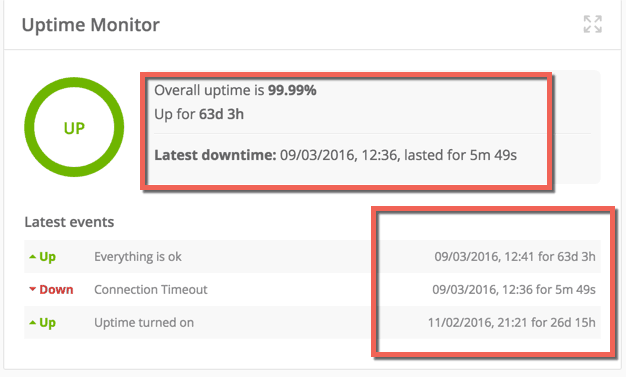 Here is the uptime report from my ManageWP dashboard & in last 3 months the total downtime was only 5 minutes. Do share your experience with them in the comment section below. Note: Once you uninstall WordPress, you will lose all the data & customization. 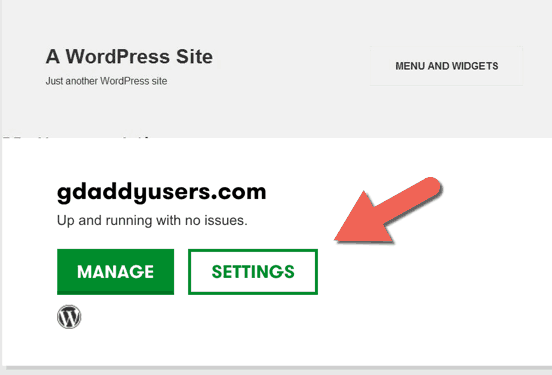 Login to your Godaddy Dashboard & Click on manage in front of managed WordPress. 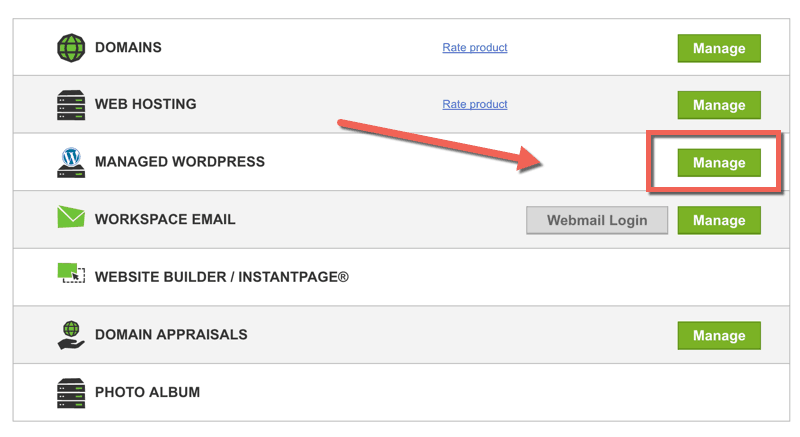 You can always click on + icon to show all installed WordPress blog on your hosting account. This is for those users who have multiple WordPress site installed. and select Remove site from the options. On the pop-up window type “reset” which is a confirmation for deleting your WordPress installation. Click On remove & Godaddy automatic uninstaller will remove your WordPress blog in few seconds. That’s it! 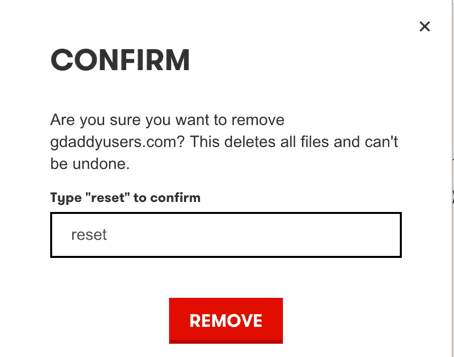 Your WordPress blog on Godaddy is removed. If you have any question prior to removing WordPress blog on Godaddy hosting, feel free to reach out to me via comment section. Do check out our other posts to learn various tips & tricks of WordPress web-hosting. Hello Great helpful post as always. What do you do if you don’t have “Managed WordPress” button on the page? Mine does not have the button and not really sure what to do…I can delete the related files via “File Manage” or FTP, but not sure if all the files are all deleted and the servers all cleaned up as a new…. I’m trying to reinstall whole wordpress site with clean slate fresh start since got URL Injection hack and can not get rid of the issue….